The New Group, one of New York’s leading Off-Broadway theaters, is proud to offer a rigorous and competitive internship program in order to develop and empower the next wave of exceptional theater professionals. The New Group is an award-winning, artist-driven company with a commitment to developing and producing powerful, contemporary theater. In addition to producing four productions in our 2018/19 season, the organization’s New Group/New Works play and musical development program champions original works by emerging and established authors. The New Group also operates a variety of theater education programs that provide opportunities for artistically inclined high school, college and adult students. 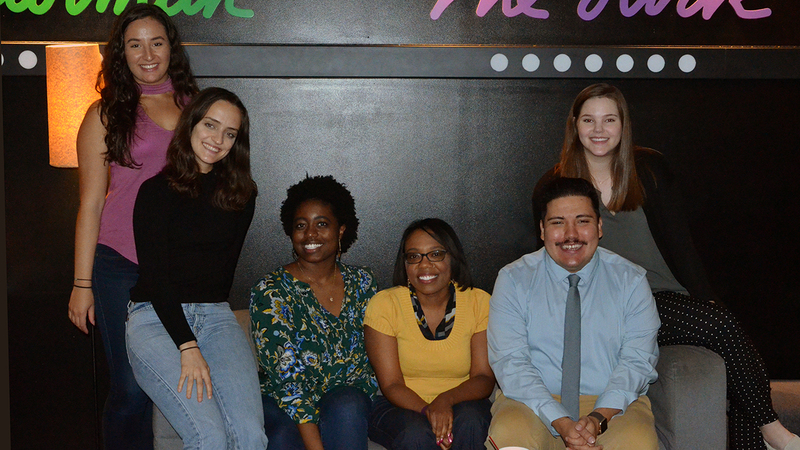 The New Group extends its mentoring to those whose love of the arts includes the inner workings of the theater through experiences in administration and production. The New Group seeks diverse individuals with an affinity for theater arts and administration. Each internship provides candidates unique insight into the inner workings of one New York City’s premier off-Broadway theater companies in an intimate, openhearted environment. 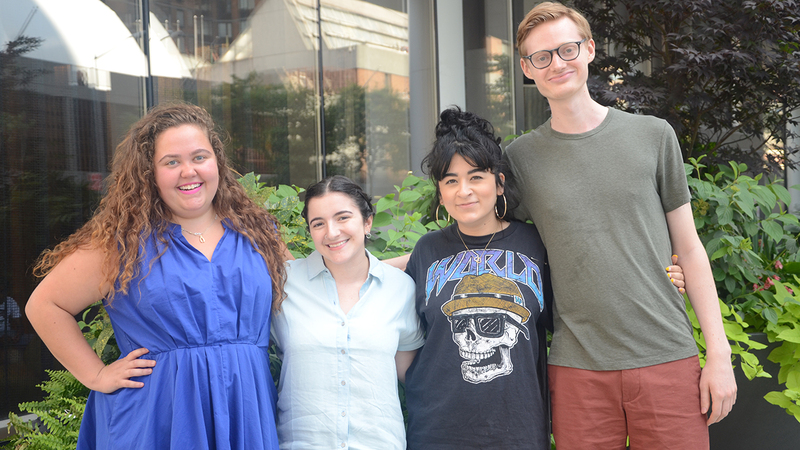 Our interns are integral to the functioning and continued success of our theater and as such, interns are expected to take on real responsibilities and take initiative in their time with us. 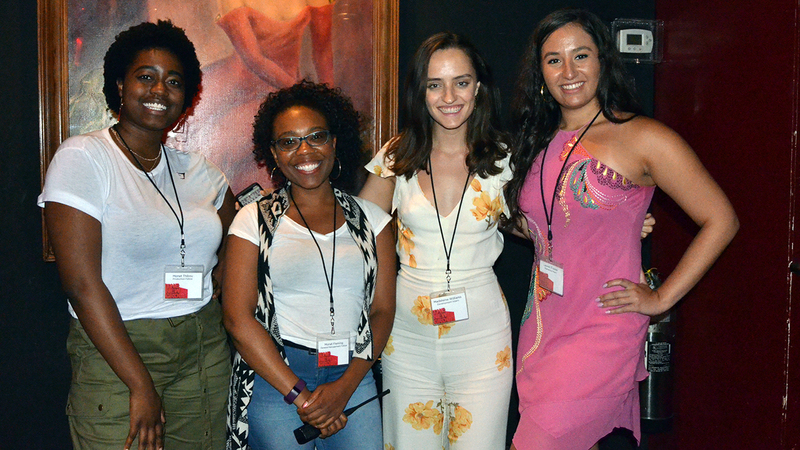 The New Group interns are invited to participate in staff meetings and special events, which can include (depending on current production schedule) first rehearsals, opening and closing nights, talkbacks, and fundraising events, such as the Gala. At The New Group, our small and collaborative office environment creates the space for unique cross-departmental exposure. With a staff of only 11 full-time employees, The New Group provides its interns the chance not only to work closely with their direct supervisor, but also to interact and create meaningful relationships with all members of the team. Interns will also receive mentorship throughout the internship to make contacts to help further professional development. Interns also engage in regular seminars to broaden their experience and prepare them for the next step of their careers. Past seminars include a conversation with Executive Director Adam Bernstein, playwright Sharr White, marketing consultant Marcia Pendelton, and a resume workshop. 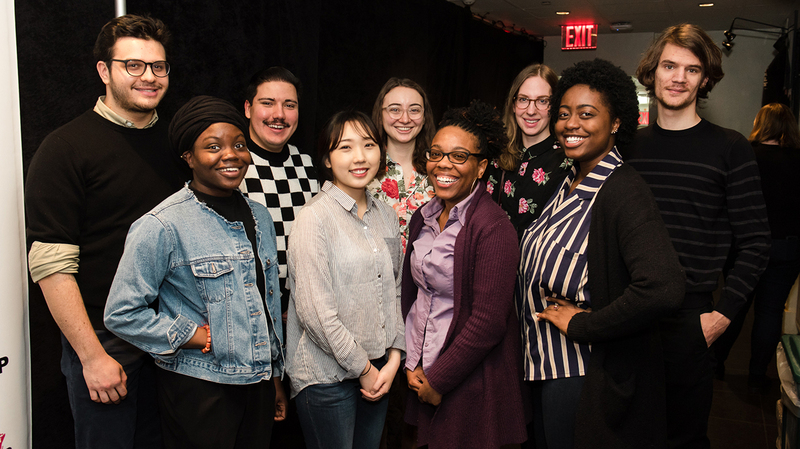 In addition to gaining invaluable experience, The New Group interns will receive a MetroCard to cover travel costs, and students may be eligible for school credit. 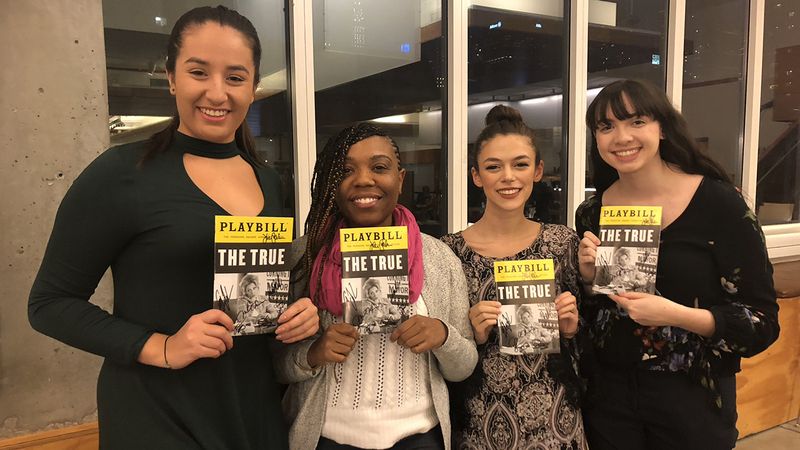 Interns will also receive complimentary tickets to The New Group’s productions as well as other Off-Broadway productions from time to time for the duration of their internship. Internships are open to undergraduates, graduate students, and early career professionals. Full-time internships require a commitment of 30-40 hours per week, and part-time internships require a commitment of 20 hours per week. All candidates must have excellent interpersonal, organizational and writing skills. Familiarity with Microsoft Office (Word and Excel) is required. Development, Education, General Management, Literary and Marketing Internships are offered in three cycles: Summer, Fall, and Winter/Spring. Applications for our next Summer cycle (which begins September 2019) will be accepted between now and June 1, 2019. Because of the high volume of applications we receive, intern submissions are considered on a rolling basis. If candidates are interested in multiple internships, they may apply for more than one opportunity and should indicate on their cover letter which internships they are interested in and their order of preference. To apply, please submit a cover letter detailing your interest in interning with The New Group, a current resume, and the contact information of two references. Send all materials to Internships@TheNewGroup.org. In the subject line of the e-mail, please write the internship for which you are applying. E.O.E. No phone calls, please. The New Group embraces diversity in all forms and encourages applications from all qualified candidates, regardless of gender, race, religion, national origin or sexual orientation. The New Group is an E.O.E. and people of color, immigrants, veterans, differently abled, transgender and gender non-conforming individuals are encouraged to apply. The Development team at The New Group raises the necessary contributions that support all of the organization’s programs. The Development Intern works primarily with the Individual Giving and Events Associate to gain experience in donor prospecting, cultivation and stewardship as well as special events planning. They will support the team by preparing correspondence with individuals and foundations; processing and tracking gifts; maintaining departmental databases; researching prospective funders; and planning events such as opening nights, benefit readings and patron receptions. They will also work with the Institutional Giving Associate in conducting research, preparing preliminary fundraising collateral and with general administrative duties. In their time at The New Group, Development Interns gain experience with Spektrix software. Any prior experience or training in customer service or copyediting is a plus. The Education Intern works with the Associate Artistic Director and Education Coordinator to gain experience in coordinating The New Group’s education initiatives, and assisting teaching artists on our programs. These include Scene 1, The New Group’s free theater program for NYC high school students, winter camp for middle school students, and the playwriting workshop. The Education Intern learns about the elements of leading an effective program; facilitating logistical needs of each class; tracking and improving student attendance; and compiling class reports. In their time at The New Group, interns also support efforts to enlist new students and build ties with local communities. Education Interns also serve as the Assistant Teaching Artist for all high school and middle school classes. Candidates must be able to provide a good example for students and have some prior experience working with teens and/or young adults in either an academic or professional context. This internship is typically 15 hours per week. The General Management Intern works with the General Manager and Finance Manager to gain experience in General, Company and Financial Management for a not-for-profit theater. General Management Interns gain familiarity with union agreements and contract work; support day-to-day bookkeeping and budget management; and learn about preparing box office reports and tracking ticket sales. Interns also coordinate with stage management throughout rehearsals and provide general administrative support. In their time at The New Group, General Management Interns gain experience with Spektrix and QuickBooks software programs. Any prior experience or education in arts management, business administration, or accounting is a plus. The Literary Intern works directly with the Associate Artistic Director to gain experience in evaluating scripts; corresponding with playwrights and agents; and tracking status of play submissions to the Literary Department. While at The New Group, the Literary Intern will also support the New Group/New Works program by helping to organize and execute readings of new plays and musicals. Candidates should have some prior experience working with new plays in either an academic or professional context. This internship is typically 15 hours per week. The Marketing Intern works directly with the Marketing Director and interfaces with the Press Representative and Advertising Agency to develop and broaden The New Group’s audience. Marketing Interns gain experience in social media strategy; organizing talkbacks and other outreach efforts and events; tracking current audiences and cultivating new audience bases; creating and executing mailings and other print materials; and maintaining press and photo archives. In their time at The New Group, Marketing Interns become familiar with the Adobe Suite (Photoshop and InDesign) and Spektrix software programs. Any prior experience or education in marketing, communications, or graphic design is a plus.